The 1.6-litre "Energy" series diesel engine delivers ultra low CO2 emissions and fuel consumption while producing high power and torque. The Trafic Formula Edition has all the comfort of a passenger vehicle with heated driver seat, Java premium cloth upholstery and premium detailing. 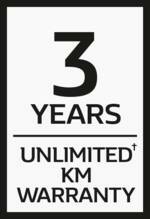 Choose from 2 limited edition body colour ways, Jet Black and Storm Grey, with upper and lower yellow grille inserts. Racing inspired, 17" Cyclade alloys featuring black and yellow centre caps. Controlled by a 7" touchscreen, the MediaNav system provides easy access to the radio, media, phone, map and satellite navigation. 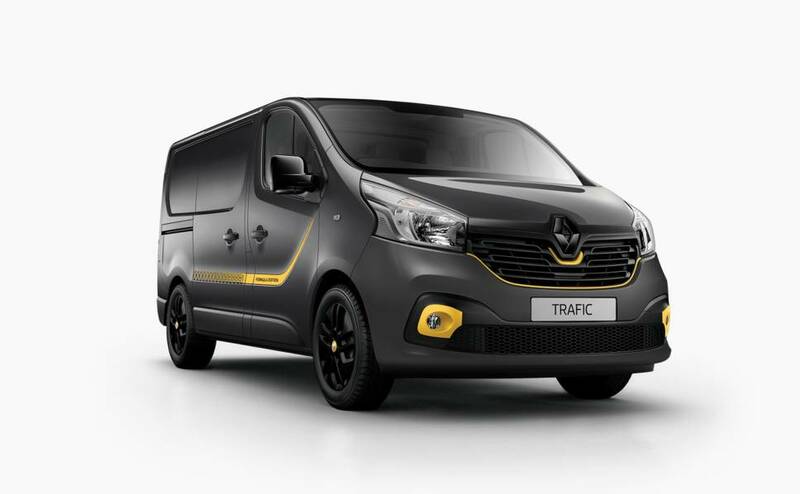 Side stripes, yellow grill inserts, fog lights surrounds, black "Renault" badge and body coloured front bumper give the Trafic Formula Edition its racing inspired look.